It’s common knowledge that most cats would rather not go to the vet. Just getting them into the carrier can seem practically impossible! 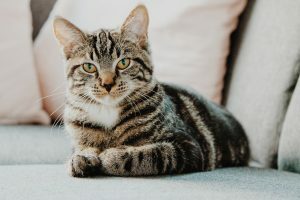 If you do manage to get the cat out from under the bed or detached from the living room curtains, by the time you get the carrier door closed your cat’s eyes are huge and worried, and you’re covered in scratches. It doesn’t have to be this way! With some preparation and good habits, your cat can see visits to the vet as a fun and rewarding experience. Keep your cat’s carrier out in the open rather than storing it away. Or at least bring it out several days before their appointment so they have time to adjust to it. Make the carrier a place that your cat will want to hang out in. You can put in a fluffy bed, spray or sprinkle catnip, and spray some Feliway Travel Spray in the carrier to make it smell like a safe space. Bring your cat to the vet for social visits as often as possible. This will create good memories and associations of the vet clinic. Make sure nothing scary happens (no weighing, temperature taking, or needles! ), just lots of loving, petting, and some yummy treats. It helps if they are hungry when you visit so the treats are more appealing! Starting this habit early can greatly reduce your cat’s stress over their lifetime. Schedule appointments for earlier in the day to reduce the chance of waiting. If you do end up waiting, keep the carrier elevated and away from other pets if possible. Try blocking their view with a towel or coat. When you have an appointment, be sure to leave plenty of time to get your cat in the carrier and travel to the vet. Plan on leaving the house 15 minutes earlier than usual. You may even want to confine the pet to one room of the house the night before the appointment. Make sure you set aside any records, medications, etc. that you need to bring with you. Avoid “baby talk” and nervous chatter. 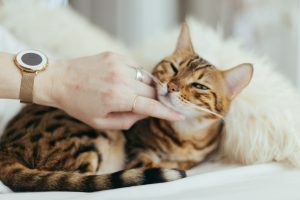 Your cat takes cues from your behavior and body language. 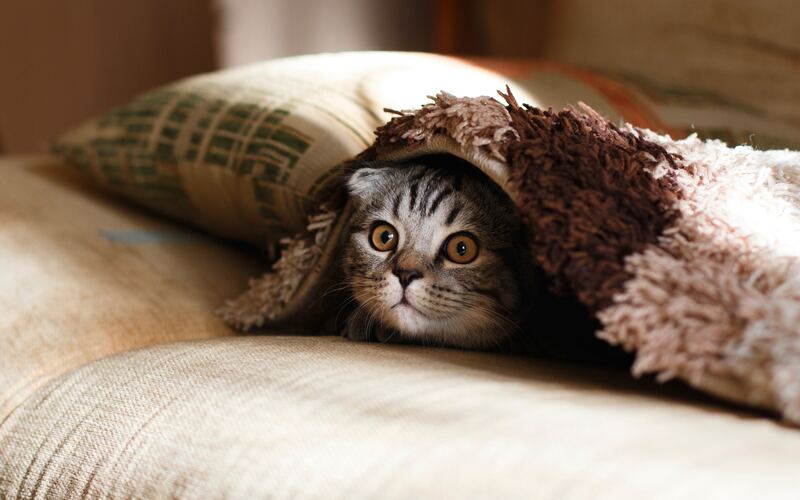 If you act worried and stressed, you could increase your cat’s stress level unintentionally. For severely stressed pets, calming medications might be appropriate. Talk with your vet about the possibility of pre-medicating before appointments. With some planning and good habits at home, going to the vet can be less stressful for both you and your cat. Regular vet visits can add years to your pet’s life, so consider integrating these tips into your routine as soon as possible! Contact your veterinarian if you have any questions or concerns about your cat's next visit.